Finley was born at 4:30 pm on October 21. 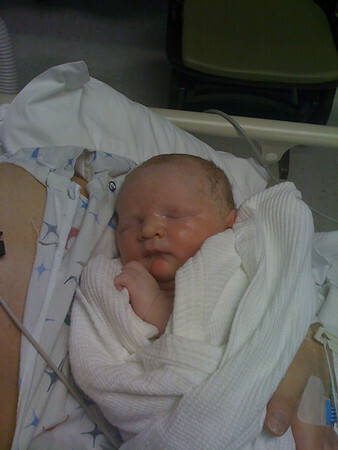 He was 8 pounds 13 ounces and 20.75 inches long. He and mother are doing well. Congrats!! He is so cute!